The injuries suffered by soldiers during WWI were as varied as they were brutal. How could the human body suffer and often absorb such disparate traumas? Why might the same wound lead one soldier to die but allow another to recover? In The Human Body in the Age of Catastrophe, Stefanos Geroulanos and Todd Meyers uncover a fascinating story of how medical scientists came to conceptualize the body as an integrated yet brittle whole. Responding to the harrowing experience of the Great War, the medical community sought conceptual frameworks to understand bodily shock, brain injury, and the vast differences in patient responses they occasioned. Geroulanos and Meyers carefully trace how this emerging constellation of ideas became essential for thinking about integration, individuality, fragility, and collapse far beyond medicine: in fields as diverse as anthropology, political economy, psychoanalysis, and cybernetics. 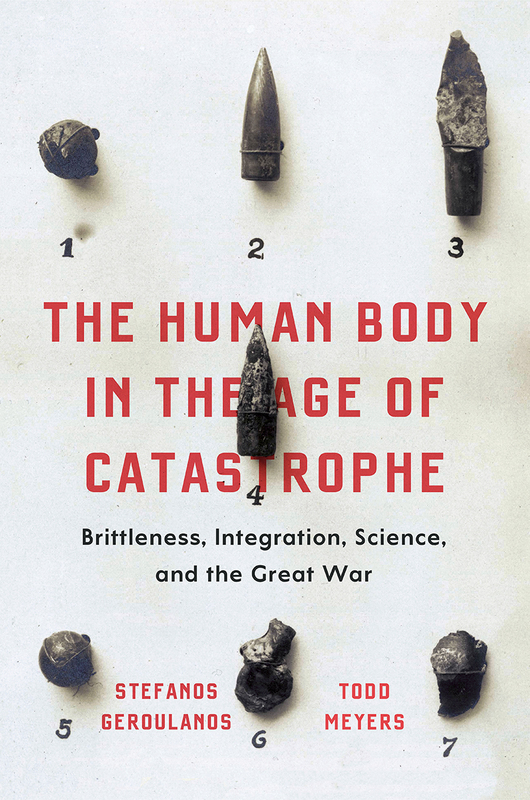 Moving effortlessly between the history of medicine and intellectual history, The Human Body in the Age of Catastrophe is an intriguing look into the conceptual underpinnings of the world the Great War ushered in. "[A] richly innovative study. . . . Geroulanos and Meyers present an imaginative case for the First World War’s transformative effect on popular and scientific understandings of the human body. Their careful exposition of the spiralling development of the concept of physiological integration in the fields of anthropology, cybernetics and philosophy makes a highly original contribution to 20th-century intellectual history and will provide a fertile springboard for future research." "Geroulanous and Meyers have examined the growth of recognition that the body’s ability to recover, regenerate, or revitalize depended on the integration of body, mind, and patient response. These discoveries also transformed the postwar language of regeneration for politics and recovery of war-torn nations. Recommended." "By illustrating the debts of the postmodern era to the medical sciences of the early century, Geroulanos and Meyers give us a very different picture of the demise of the liberal subject than the one we knew."